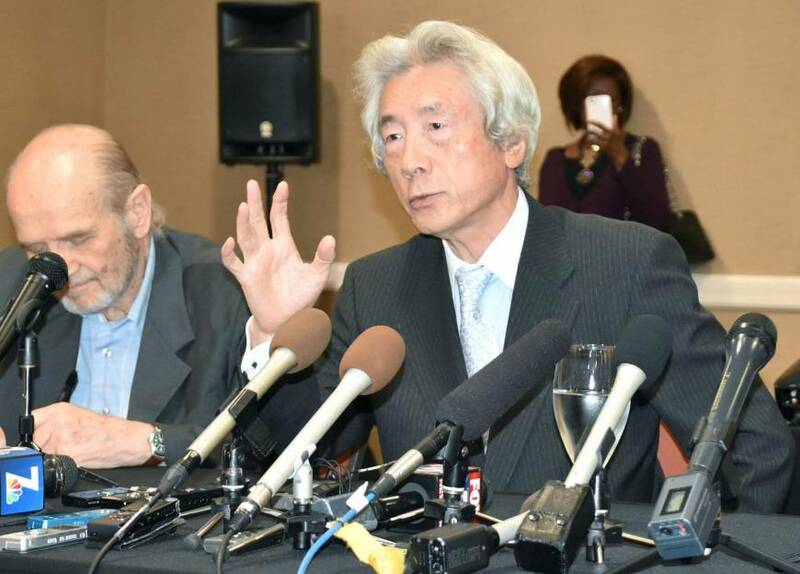 Koizumi says Japan must say ‘no’ to nuclear energy, THE ASAHI SHIMBUN, January 17, 2019, When he was prime minister, Junichiro Koizumi championed the use of atomic power to generate electricity. Then the 2011 earthquake and tsunami disaster struck, triggering a crisis at the Fukushima No. 1 nuclear power plant in Fukushima Prefecture. Koizumi, in office from 2001 to 2006, and widely regarded as one of Japan’s most popular postwar leaders, started reading up on the nuclear issue, and had a change of heart. Koizumi, 76, published his first book by his own hand titled “Genpatsu Zero Yareba Dekiru” (We can abolish all nuclear plants if we try) in December. It is available from Ohta Publishing Co. In it, he lambasts consumers for lacking a sense of crisis and simply believing a serious accident like the Fukushima disaster will never happen again in Japan during their lifetime. In a recent interview with The Asahi Shimbun, Koizumi said it was “a lie” to claim that nuclear power is “safe, low-cost and clean,” although that is precisely what he espoused when he held the reins of power. …….. Q: Is it really possible to replace all the nuclear reactors with other sorts of power plants?